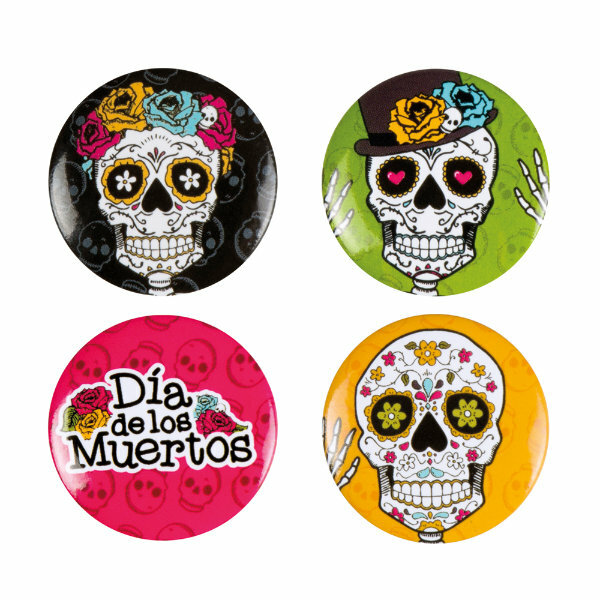 4 buttons day of the dead. 4 assorti. 3 cm.